The Vox V810 Bass Booster was produced by the North American distributor of Vox, Thomas Organ of Sepulveda CA. 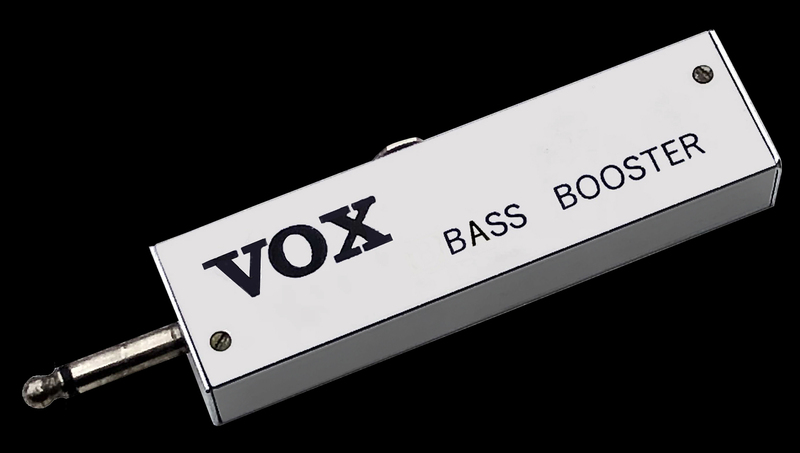 The V810 Bass Booster was essentially a knockoff of the Vox Bass Booster produced by Jennings (JMI) Vox in the UK. After securing the North American manufacturing rights for Vox in the summer of 1965, Thomas ceased the importation of UK Vox products for distribution in the US. Going forward, virtually all Vox products destined for the North American marketplace would be produced at Thomas facilities in either Sepulveda CA or Chicago IL. The V810 Bass Booster was shown on this web page was built in Sepulveda CA and had a US list price of $24.90 in 1966. The V810 featured a chrome plated steel case measuring 4⅝" x 1¼" x ¾." An on/off switch and an output jack was mounted to one of the narrow sides of the case. A ¼" output plug extended from one end of the booster. This plug inserted into an input jack on a guitar amplifier. A standard nine volt battery supplied power to the V810. The JMI Bass Booster utilized a three-pole on-off switch which facilitated a true signal bypass when the booster was turned off. To reduce costs, Thomas Organ replaced the three pole switch with a dual pole model, eliminating the true signal bypass feature. Other than the switch, the circuitry of the JMI and Thomas Bass Boosters was identical. 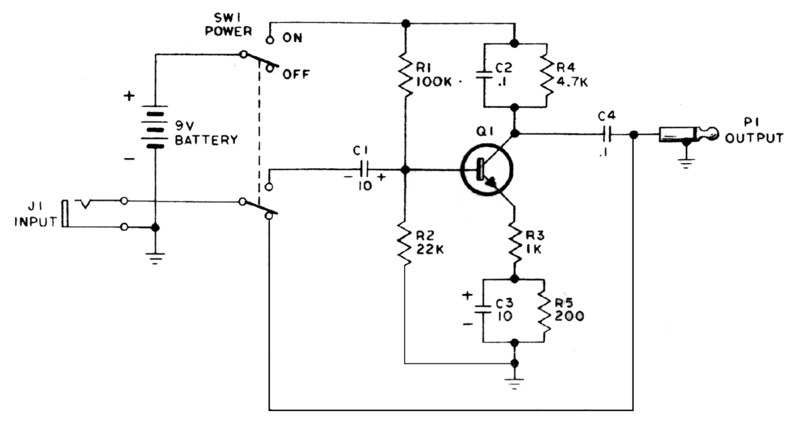 The original Vox V810 Bass Booster schematic and parts list is provided below for those interested in building their own Bass Booster circuit.